As a boy I recall building plastic model kits of the famous aircraft of World War II and one Christmas I was given a special kit of the RAF Lancaster bomber but this was different, it was one from the famous ‘Dambuster’ raids. I did not know much about these raids at the time, but from then on I spent more and more time in my local library researching the history of Bomber Command and the Dambuster raids. Little did I know it at the time that my thirst for knowledge for both World Wars would become a lifelong interest. Not many would have failed to have heard of the legendary story of the crews of the Dambuster raids, but what became of the crews. 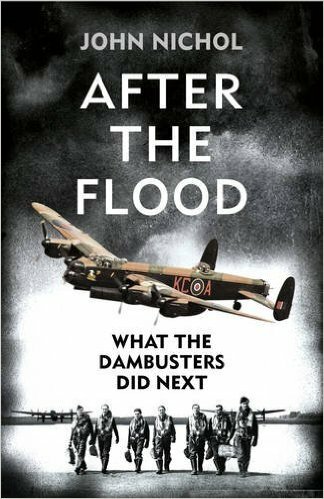 In After the Flood by former RAF navigator John Nichol is an incredible researched account of the these brave men that flew on the attacks on the dams. On 17th May 1943 Operation Chastise was launched with 19 modified Lancaster Bombers of 617 Squadron took off under the command of Wing Commander Guy Gibson, the aircraft flew at altitudes of 100 feet to avoid radar detection and carried a single bouncing bomb. Of the 133 aircrew that took part in the raid on the dams 56 were killed. The results of the attacks was a massive propaganda success for the RAF. The resulting flood waves killed close to 1600 people many were forced labourers of a number of nationalities from a number of European countries and also Eastern Europe. 617 Squadron went on to carry many more daring raids over enemy targets from deep inside Germany to attacking and sinking the Tirpitz the largest German battleship ever built, they also went on missions destroying V1 and V2 factories and launch sites to the catastrophic attack on the Dortmund-Ems canal and also Hitler’s Eagles nest. Of the entire crews that joined the Dambusters raids only 45 men survived to see the final victory that they fought so bravely to achieve. Nicholl deserves praise for the immense research that was undertaken for After the Flood including talking with survivors as well as visiting some of the target sites the crews attacked. This is an incredible story about a group of incredibly brave men who put themselves in mortal danger every time they took part in a raid. It is a fitting tribute to 617 Squadron a group of men to whom we owe so much and the likes of which we may never see again. An outstanding historical account that I am delighted to recommend to anyone with an interest in military history. 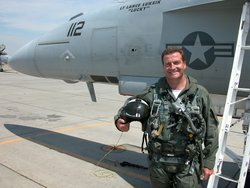 During 15 years service in the Royal Air Force John Nichol served as a technician and, after being commissioned from the ranks, as a Tornado Navigator in both the Air Defence and Ground Attack roles. On active duty in the Gulf he was shot down on the first low-level, daylight raid of the first Gulf War. Captured and tortured, he was paraded on television provoking worldwide condemnation and leaving one of the enduring images of the conflict. He returned to active duty and was involved in policing the exclusion zone as part of the UN force maintaining the fragile peace in Bosnia. He has served around the world from the Nevada Desert to the Middle East and Norway to the Falkland Islands. He has written for The Times, The Mail on Sunday and The Observer and is a widely quoted commentator on military affairs. He has also been a consultant and presenter for Newsnight, BBC, Sky & ITV News, World in Action, CNN and Cutting Edge. He devised and presented 2 series of Survivors, interviewing newsmakers who have been through life changing experiences. He recently wrote two major series for the Sunday Express, Heroes and Survivors. John is a member of The Royal British Legion’s Gulf War Group helping veterans with Gulf War Syndrome and a patron of the British Ex-service Wheelchair Sports Association. Posted on October 17, 2015, in After the Flood, John Nichol, William Collins. Bookmark the permalink. 2 Comments. This looks sensational. I must get a copy. Linda it is an incredible account. I learnt more facts that I never knew previously.